Surprisingly, this makes me think of coatis. It’s surprising mostly because, the day we (as in, me and my family) encountered them in Costa Rica was nothing short of the rainiest day I had ever experienced. 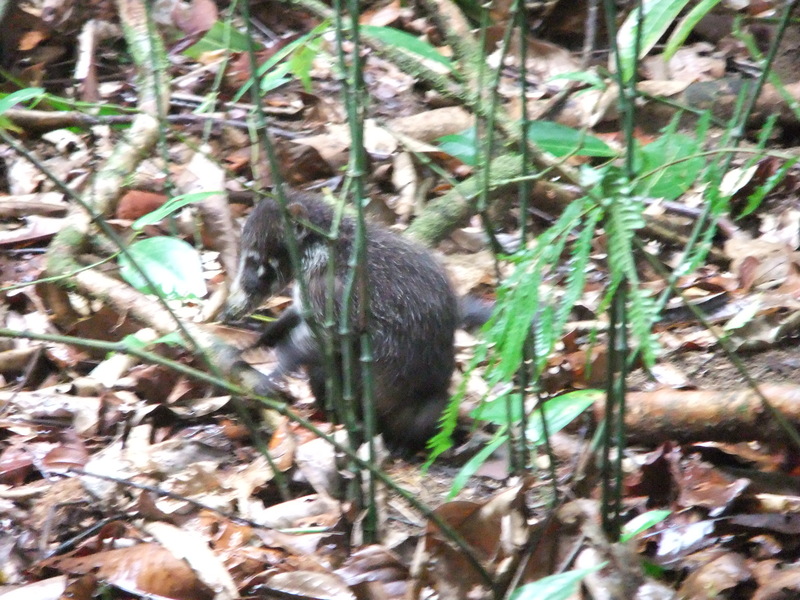 While wildlife-watching somewhere on the Osa Península, we heard people talking rather loudly. Normally, you avoid doing this so as to try not to scare the very animals you’ve come to watch. Turns out, the noise was coming from several groups of people who, along with their guides, were agglomerated in a single spot. Why? 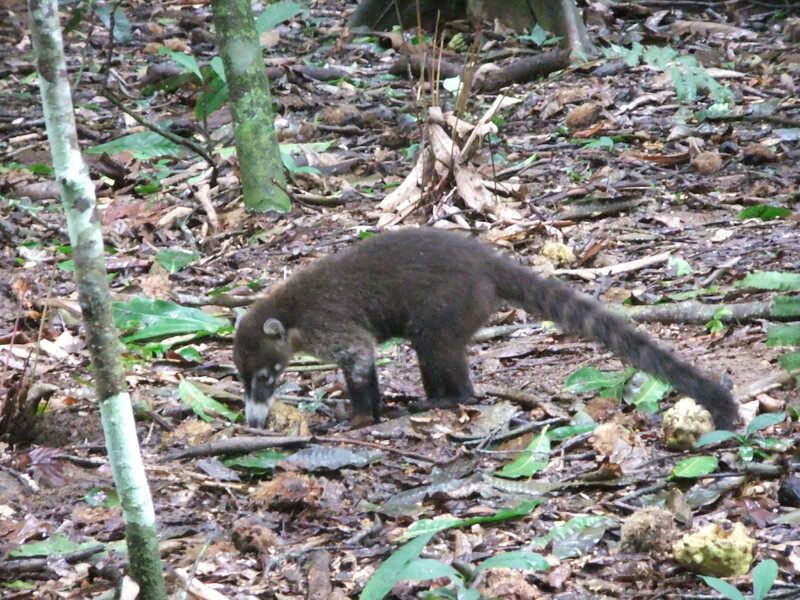 Because about two dozen coatis were hanging out there, completely oblivious to human presence. Yay for blurry travel photos! Funnily enough, we found ourselves progressively talking louder and louder, joining thus the chorus of merry tourists. It’s as if we were testing our four-legged friends to see the sound intensity at which they’d react and flee. But nope, we saw no reaction whatsoever from them, except the occasional detour if we happened to stand on their path. 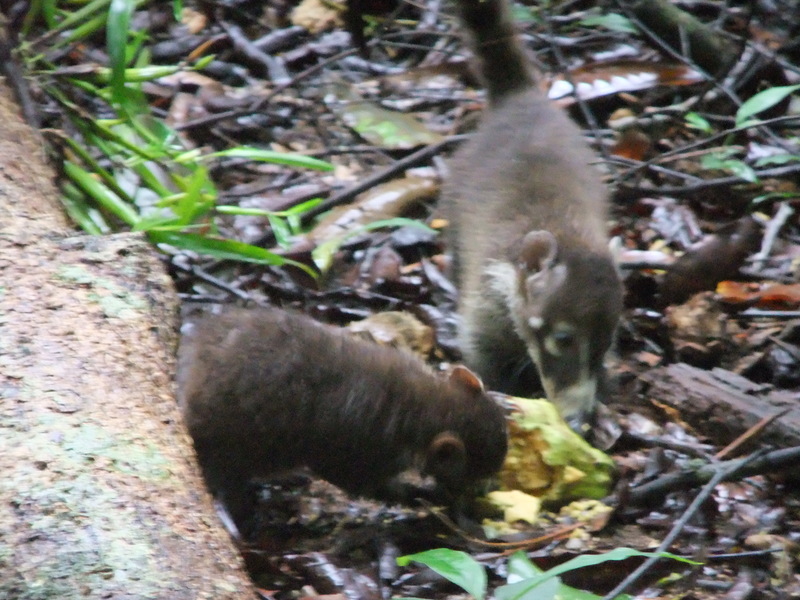 At some point, the coatis went away, seemingly scattering. So did the humans. 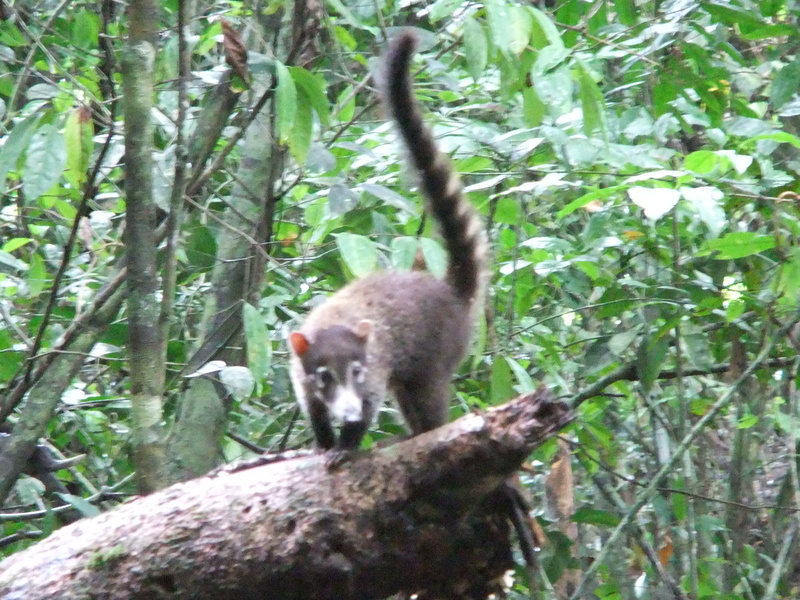 This entry was posted in Thoughts & Observations and tagged Coati, Costa Rica, Travel and Tourism on March 9, 2013 by Ria Pi.